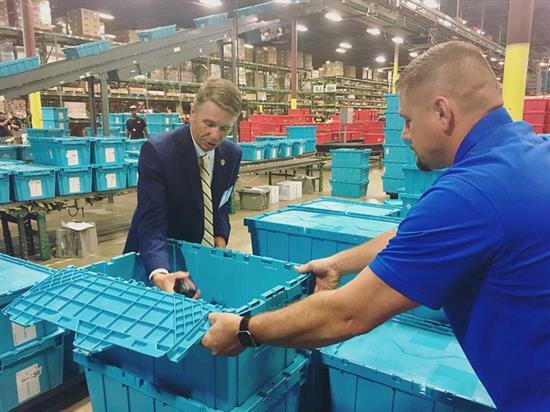 Despite the most recent reports from the National Hurricane Center that Florence has turned towards the Carolinas and Georgia, the storm still presents great danger to residents in VA-02. Governor Northam has already declared a state of emergency and the President has approved an emergency declaration for the Commonwealth of Virginia. As we have witnessed in the past, these storms have the potential to damage infrastructure and severely impede emergency response capabilities. I have compiled contact information for federal, state, and local authorities to help you prepare for the worst this storm could bring. If no resources are available in your immediate area, contact the Virginia Emergency Management Agency to ask about other resources or to obtain contact information. My office stands ready to help should you or your loved ones require assistance during this time. Kellam High School, 2665 W. Neck Road;a medically friendly shelter will also operate at Kellam High School. Individuals who plan on relocating to a shelter should bring enough supplies to last at least three days for each family member. Please visit www.vbgov.com/residents/emergency-preparedness/Pages/Emergency%20Shelters.aspx for rules, a list of what supplies to bring and items that are prohibited in shelters. The following items are prohibited inside the shelter: smoking, alcohol, drugs, other illegal substances, pets (except assistance dogs), loud radios or televisions, matches, lighters and weapons of any kind (guns, knives, chains, etc.). For Virginia Beach residents who are relocating to a shelter and need boarding for a pet, the City is opening Landstown Elementary School, 2212 Recreation Drive, on Thursday, Sept. 13 at 8 a.m. Employees with the Animal Care and Adoption Center will be staffing this shelter. Call 385-7460 to discuss further details and ensure space availability. Space is limited (200 pets) and will be first come, first served. VBTV: Cox Cable 46, 47 & 48 and Verizon Cable 45, 46 & 47 will display emergency information, including our city operational status and facility closures. Citizen Services: 311 is available 24 hours a day for questions and reporting non-emergency conditions. Please only call or text 911 in a life-threatening emergency. Emergency Shelter operations for the citizens of Poquoson and York County are being consolidated into the Commonwealth of Virginia shelter which has been established at Christopher Newport University effective 4:00 PM Thursday, September 13, 2018. For information regarding sheltering please call 757-890-3621. George P. Phenix School, 1061 Big Bethel Road, opened at 11 a.m. Tuesday as a shelter for those with medical needs as well as the general population. A pet friendly shelter opened at Bethel High School, located at 1067 Big Bethel Road, at 11 a.m. Tuesday. York County has consolidated shelter operations with the state-run facility at Christopher Newport University’s (CNU) Freeman Center, 1 University Place, Newport News, 23606. The individuals who reported to York County’s shelter at Tabb High School have relocated to CNU. The shelter at CNU is open to residents of all localities. A second state-run shelter is open at William & Mary’s McCormack-Nagelsen Tennis Center, 705 S. Henry Street, Williamsburg, 23185. The shelter at Tabb High School remains set-up and ready to re-open if needed. Residents should continue to monitor weather reports and the County’s website www.yorkcounty.gov and social media pages (Facebook: @yorkcountyva and Twitter: @YorkCountyVAGov) for up-to-date information, and on the county’s cable channel  WYCG-TV Cox 48, Verizon 40. For more information, call York County Public Affairs at (757) 890-3300. The state opened an emergency shelter at the McCormack-Nagelsen Tennis Center (William & Mary) at 705 S. Henry Street. For more information on the state shelter, please call 2-1-1. The City is prepared to activate Emergency Operations Center to coordinate City efforts if necessary. The City website at www.williamsburgva.gov  there is an emergency banner at the top of the page with the most up-to-date information. The City’s Facebook page www.facebook.com/Williamsburg.Virginia. The City’s Twitter feed @WilliamsburgGov. Local news sources such as the Virginia Gazette, WY Daily, The Tide 92.3 FM and WMBG 93.5 FM and 740 AM. Regional news sources including WTKR TV-3, WAVY-TV 10 and WVEC TV-13. Recent forecasts for our area did not warrant the opening of a County shelter. We urge residents not to shelter at The College of William & Mary, as it is intended for mandatory evacuees from coastal areas in Virginia and North Carolina. Instead, it is recommended that residents who choose to leave should first go to their family or friends for shelter. The Emergency Operations Center (EOC) will resume partial activation Friday, Sept. 14 and will be active from 8 a.m. to 5 p.m. County officials continue to monitor the track of Hurricane Florence and assess its possible impacts on James City County. The Citizen Inquiry Line 757-564-2140 will be active Friday from 8 a.m. to 5 p.m.
Next week, August recess comes to a close as members head back to Washington. Before the end of September, we have to pass the remaining appropriations bills necessary to fund our government. I spent the month of August traveling throughout in the First District taking meetings, helping constituents with casework, and answering questions about current policy issues. 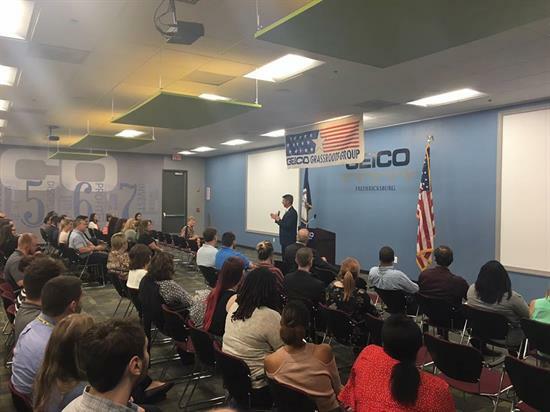 From the 26 business I visited and 24 different community events I attended, I got the chance to hear from a lot of you about what you'd like to see Congress tackle in the coming months. If you haven't already, please let me know what issues you are most interested in so I can better represent you in Washington. In the meantime, take a look at some of the stops I made across the First District this August. This week, I spent the day in Williamsburg! 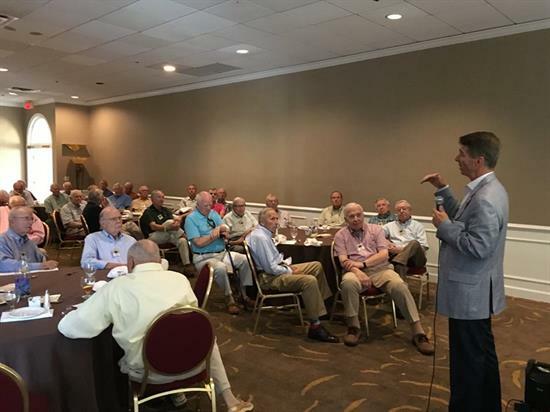 My first stop was speaking with the Crown Colony Club - discussing veterans issues, our booming economy, and other issues we are working on in Washington. 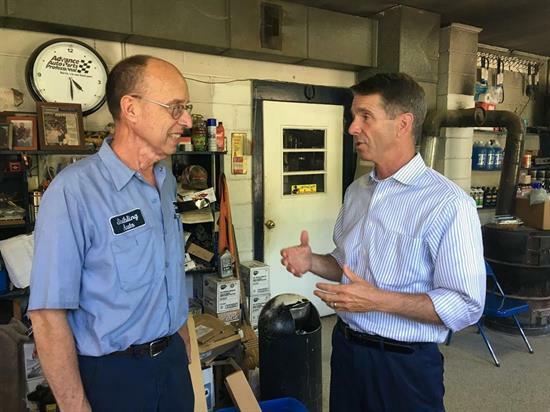 I spent the day in Fauquier, meeting with businesses in the community. We talked about the results of our booming economy and what they need to continue to be successful. 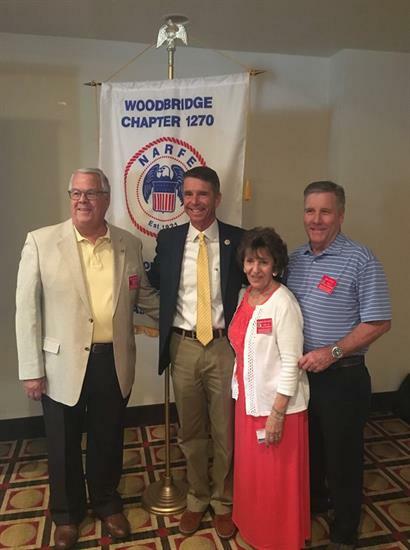 Spent time taking questions and talking about what's on Congress' agenda this fall with Rappahannock Fredericksburg Rotary Club, PB Mares, and Geico in Fredericksburg. 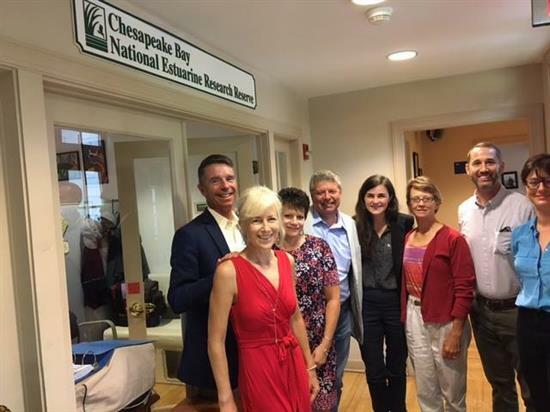 I got to discuss critical habitat conservation efforts in the First District with Chesapeake Bay National Estuarine Research Reserve - VA & Virginia Institute of Marine Science. I enjoyed a business tour in Fredericksburg & Stafford. After sharing the ways this Congress has created a climate for businesses to succeed, I got to talk with business leaders about what more we can do to get government out of the way and continue to grow our economy. I met with several different NARFE chapters throughout the district, talking about how we must preserve benefits for federal employees. 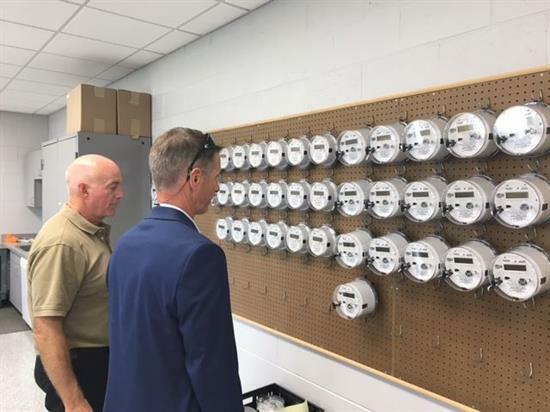 I got to catch up with the team at Northern Neck Electric Cooperative! Continuing the conversation about expanding broadband access in rural Virginia. 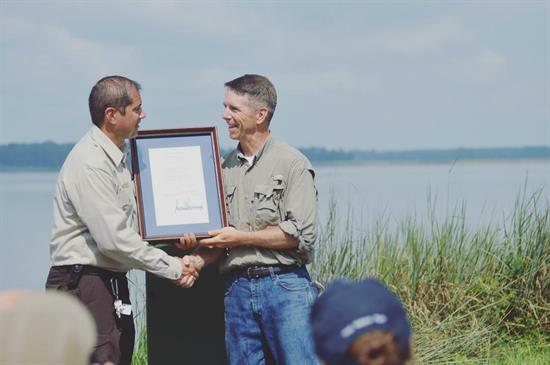 I got to present the Rappahannock River Valley National Wildlife Refuge with a signed copy of the Keep America's Refuges Operational Act after spending some time cleaning up trash by the river, clearing trails, and weeding in the garden with refuge volunteers and the Youth Conservation Corps. To keep up with all of my work around the First District and in Washington, connect with me on Facebook, Instagram, and sign up for email updates here.